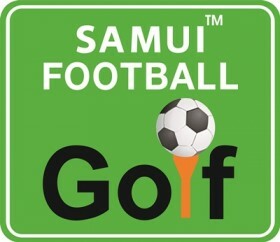 Samui Football Golf , full of laughs and surprisingly challenging, is a fantastic outdoor activity that’s fun for families, friends or couples. 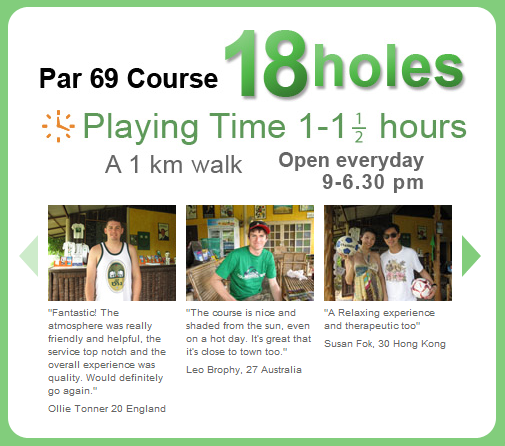 No experience or expensive equipment is needed and the game is played with modified golf rules. 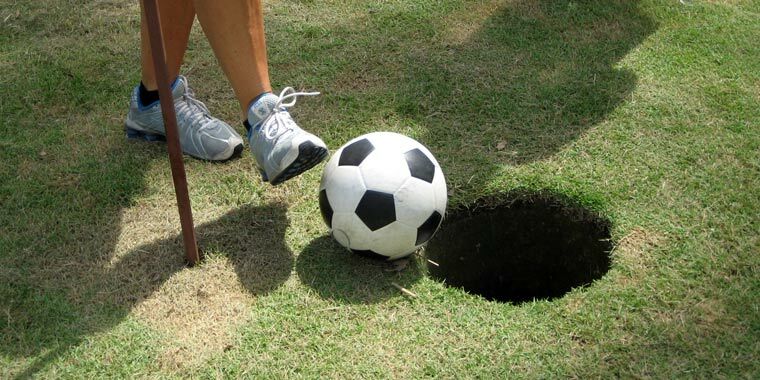 Tee off by kicking the football with either foot, towards well manicured greens and a hole large enough for the inexperienced but small enough to challenge the professional. The player who kicks the football the least number of times is the winner. 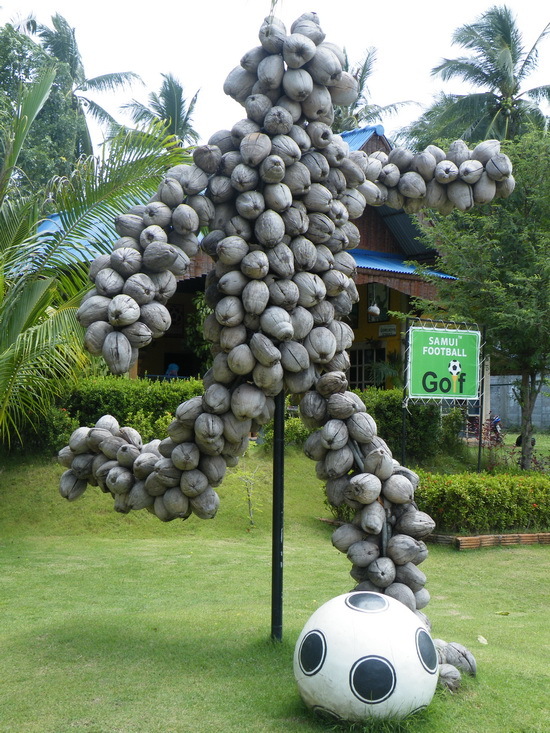 Samui Football Golf is located near Choeng Mon beach and nestled amongst one of the island’s many beautiful coconut groves. 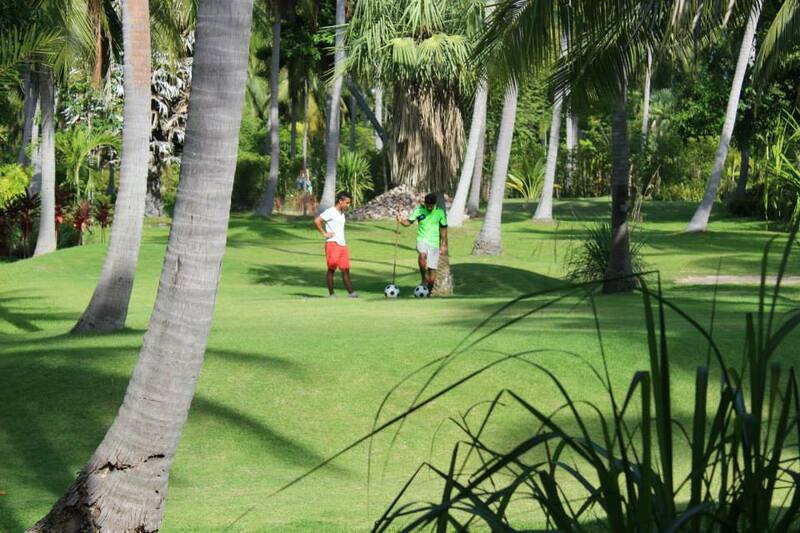 Meandering under swaying palm trees, this well planned 18-hole course is designed to ensure fun and competitiveness regardless of your age, experience or ability. 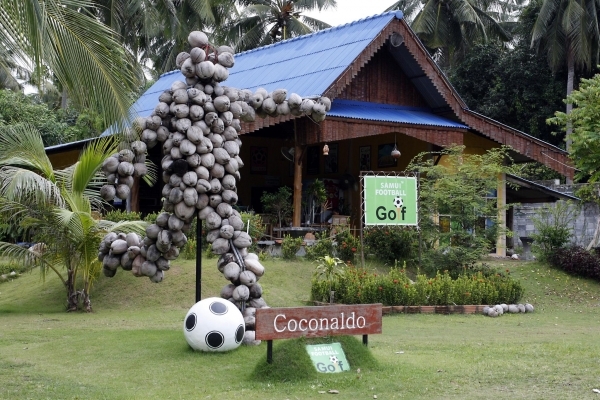 Say hi to our mascot, “Coconaldo”, constructed from local coconuts at the entrance to Samui Football Golf. Every day is a special day here in Koh Samui. be full of laughs, excitement, sighs and cheers. 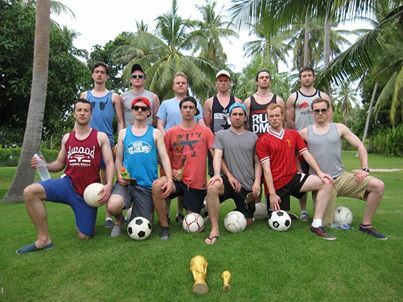 Football Golf is great fun for any number of players. You can play 2 at a time. Or you can play in large groups. it is, what you do with the ball that counts! wear a hat and bring the sunscreen. is set amongst Samui’s stunning tropical hinterland. why many of the locals call Koh Samui, “Coconut Island“. Whether you are a European champion or just a dreamer. talk about when you get back home. The 19th hole and a cold beer or 2 is a very welcome sight. 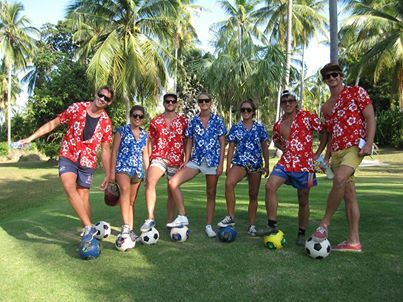 COME TO ISLAND INFO SAMUI, WE WILL BOOK YOUR PREFERRED KICK-OFF TIME AND ARRANGE YOUR TRANSPORT. ISLAND INFO IS NEXT TO RECEPTION AT ARK BAR BEACH RESORT.